We’re happy to announce that a new, improved version of OpenSpending is now being launched as an Alpha Version. OpenSpending Next provides a set of tools enabling users to visualise, analyse and publish budget and spending data - all based on the open Fiscal Data Package standard.  OpenSpending Next is designed, developed and maintained by Open Knowledge International and, as an open source project, also reflects the very valuable contributions of an active, passionate and committed community. OpenSpending Next fills a gap in the lack of open tools that offer easy budget data publication, visualisation and analytics for individuals and organisations working with fiscal data, as well as provide a data model standard. The aim of the project is to support the international open data community by offering a platform that makes it easier for civil society organisations, activists and journalists to see how and where public money is being spent. OpenSpending is also targeted to governments and any regional, local administration or municipality level to increase fiscal transparency. The Fiscal Data Package standard unveils spending data and fiscal documents at all stages of the budget process by defining a common data model. OS Packager enables users to map any fiscal data against the standard, and create a Fiscal Data Package from CSV files with a simplified workflow. This package can be uploaded to OpenSpending API with just a few clicks. OS Viewer lets users create and customise visualisations based on their budget and spending data. Treemaps, pie charts, bar charts, geolocation, line charts, tables, you name it! OS Explorer allows discovering and exploring our rich collection of fiscal data sets. OS DataMine: A rich analytical tool based on re:dash that allows performing deep queries into fiscal data. OS API: This V3 API is almost entirely based on the excellent Babbage. This API also features a fully backwards compatible implementation of the OpenSpending V2 API for legacy apps that depend on it. Collaborating in the OpenBudgets.eu project, together with Open Knowledge Germany, Open Knowledge Greece, J++, Transparency International EU, University of Prague , University of Bonn and Civio to build a platform that improves transparency and opens the black box of European structural funds spending data. Read about our latest news and research topics on our blog. - we’re currently investigating EU funds and how the EU money flows. This work has been also funded by Adessium Foundation as part of OpenSpending EU, a project that aims at making EU Budgets and Spending data, as well as EU Structural funds accessible to citizens, researchers, journalists and policy-makers. How can you contribute to OpenSpending? There are so many ways to contribute to OpenSpending! OpenSpending is guided by community principles. Anyone interested in financial data can contribute. We’re friendly to newcomers and old hands alike – everyone was new once, and we value all levels of experience. Do you have an experience working with budget data? Don’t wait any longer and start using the tool, we would welcome any feedback about your impressions on the new version and how it can be improved to serve your needs. If you’re a budget activist – look at the available data and upload the newest data for your country or municipality, in order to make it available for the larger community. Do you run a budget data or fiscal transparency portals? You will be able to use OpenSpending data visualizations and embed them in your portal. Are you a government representative? We can’t wait for you to adopt the Fiscal Data Package as an international standard. All material created within the project is open data and open content built with open tools. Expect a lot of bugs, and a lot of updates and stories! But for now, we can’t wait to get your feedback! START!